A new idea in old-fashioned Hospitality, eh? What? High wages for the kitchen staff? 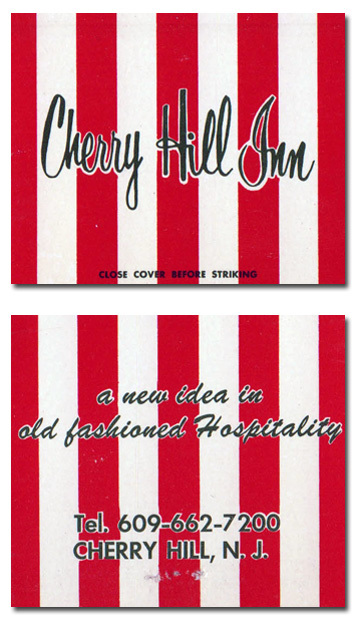 I add this rather undistinguished matchbook to show two things that were popular at the time: that font, indicating Style and Chicness and desireability amongst the smart set, and the red-and-white awning pattern, which did the same. Put them together and you expect Audrey Hepburn to jump out of a cake.